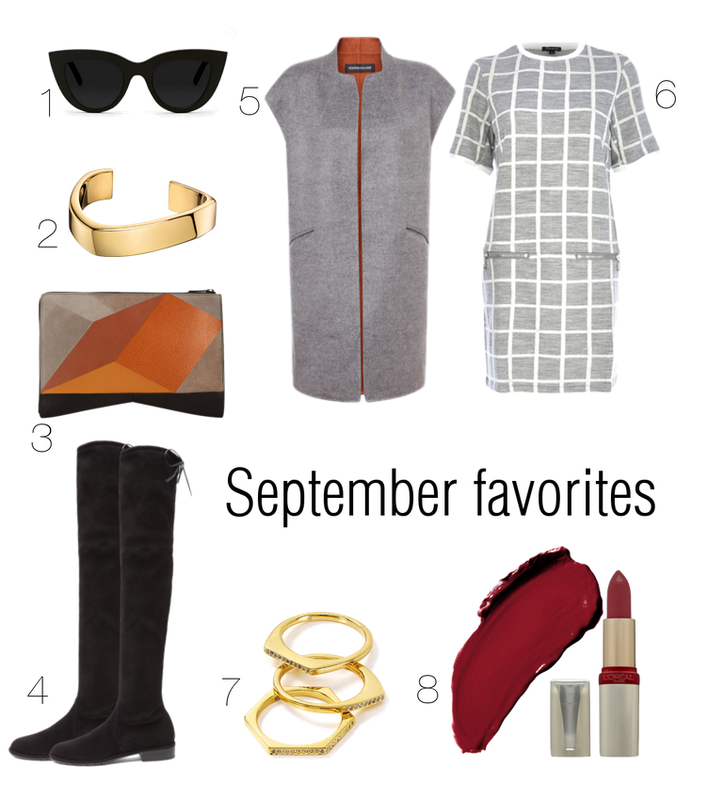 Today I'm rounding up my September favorites pieces. Shades of grey, over the knee suede boots and lipsticks in rich colours are just a few of my Fall essentials. What piece speaks to you? Have a wonderful and cozy weekend! Those sunglasses are EVERYTHING. For $40 they’re practically a steal!